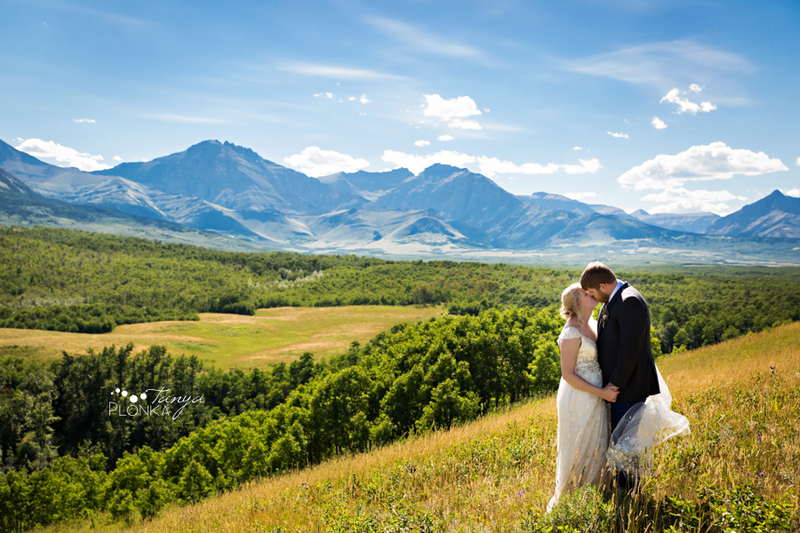 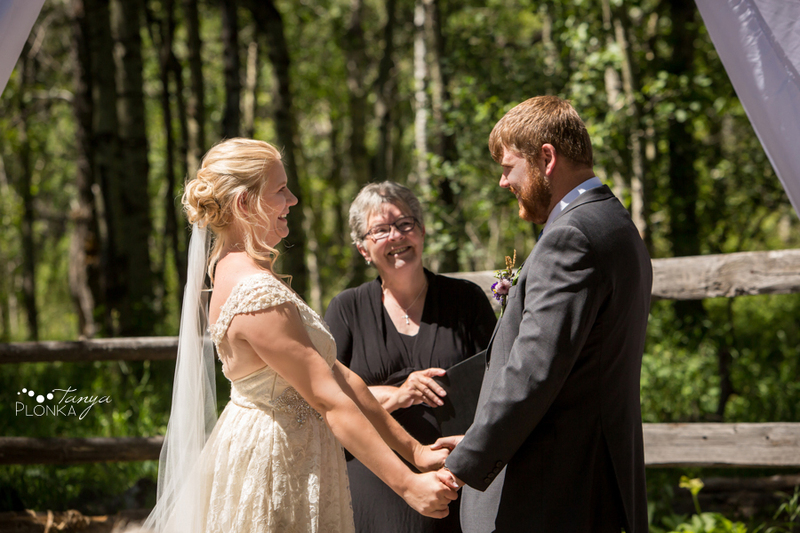 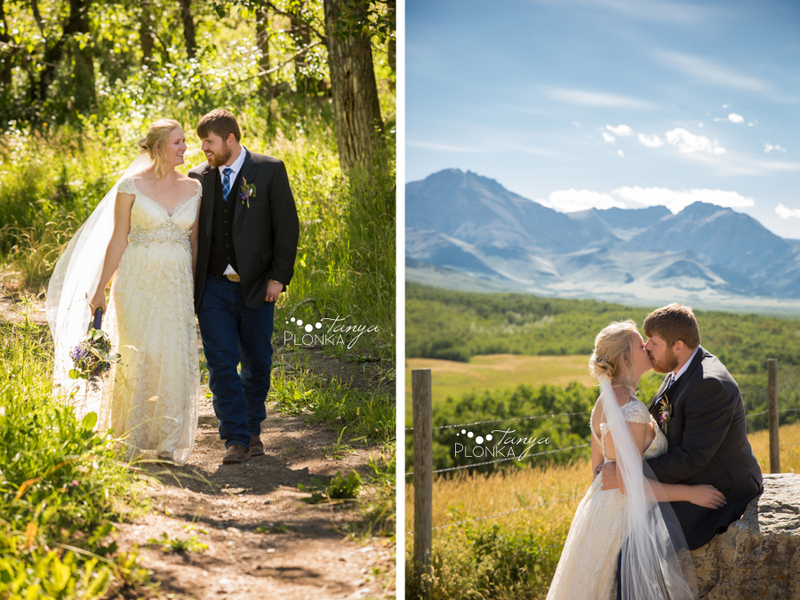 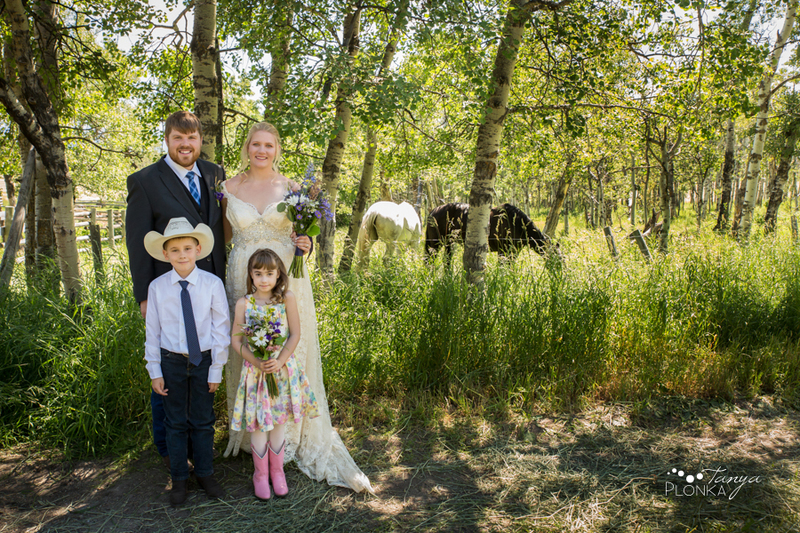 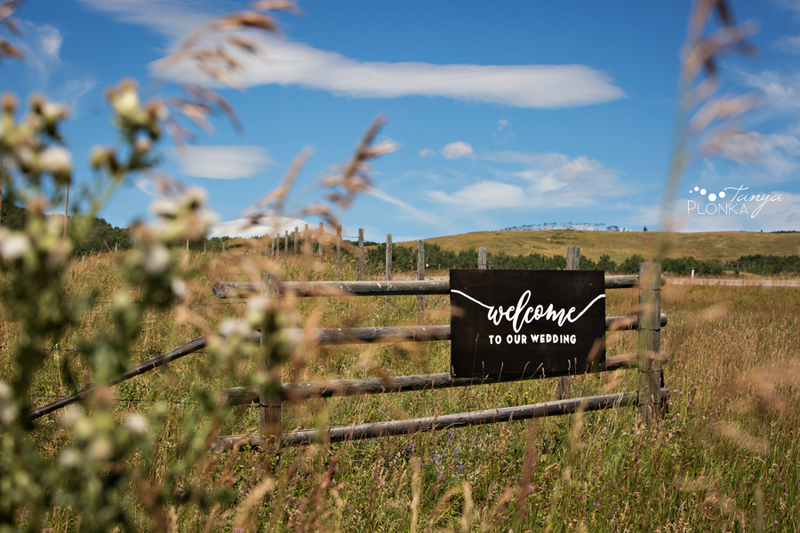 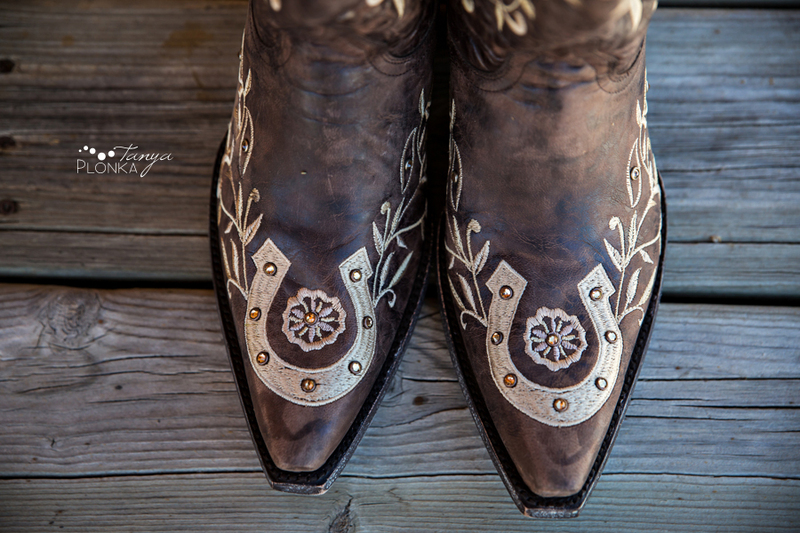 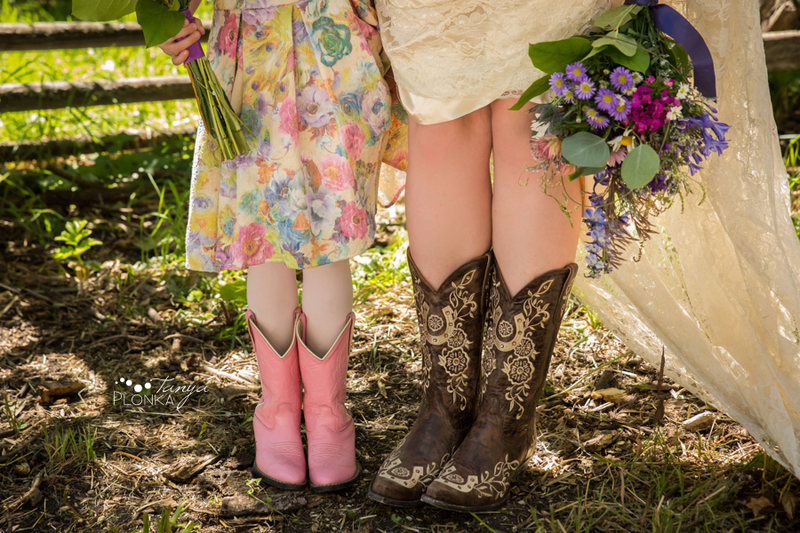 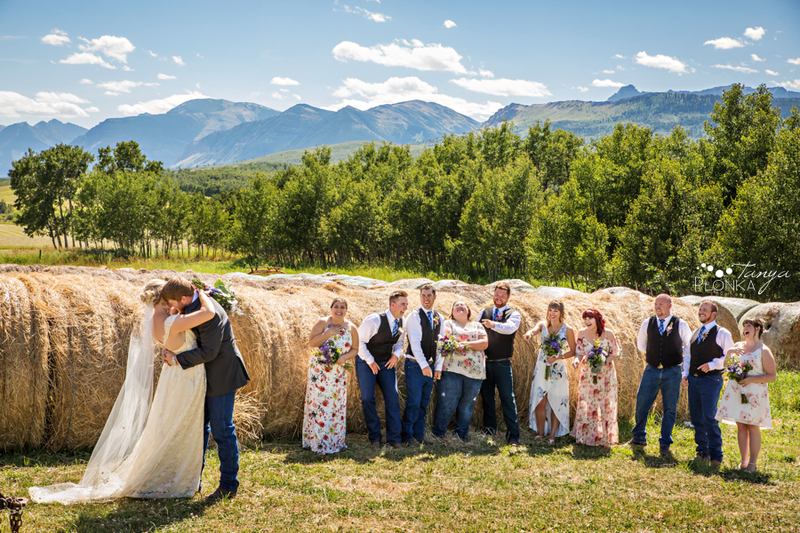 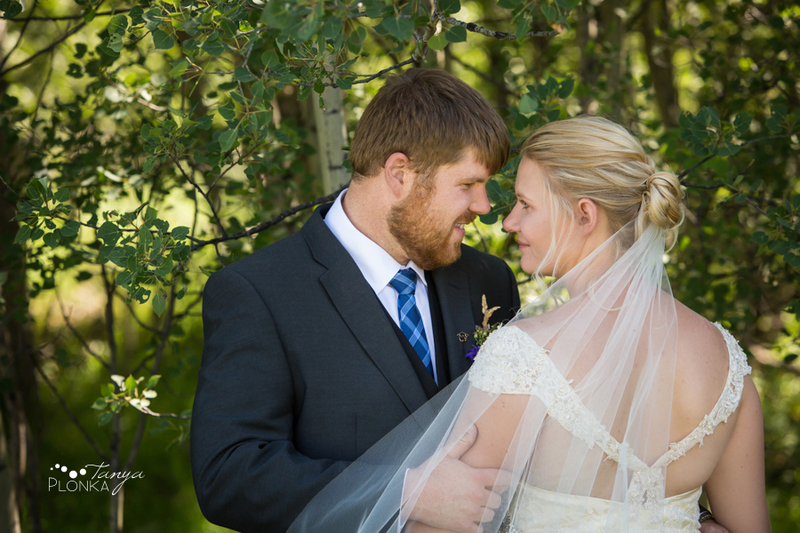 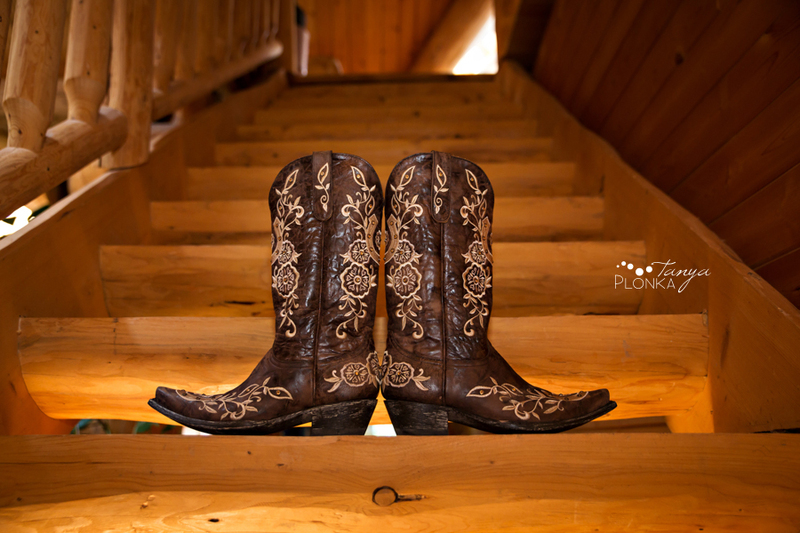 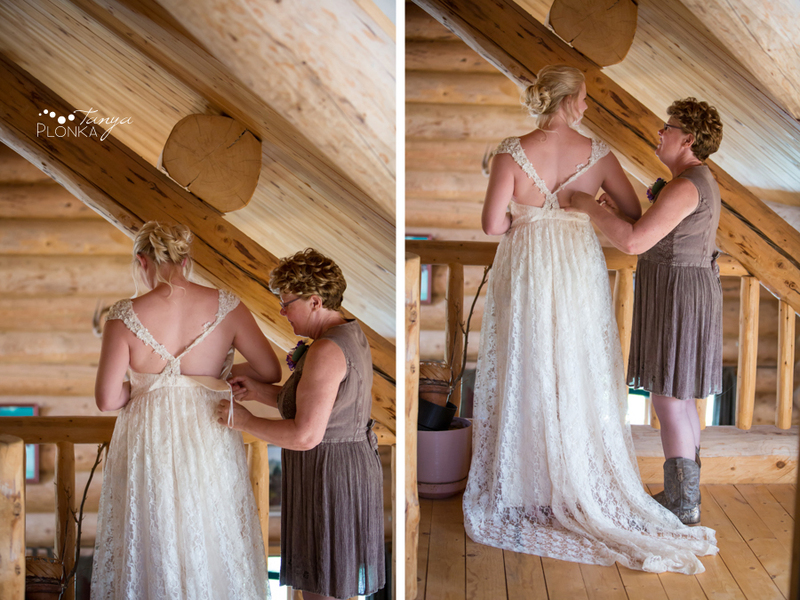 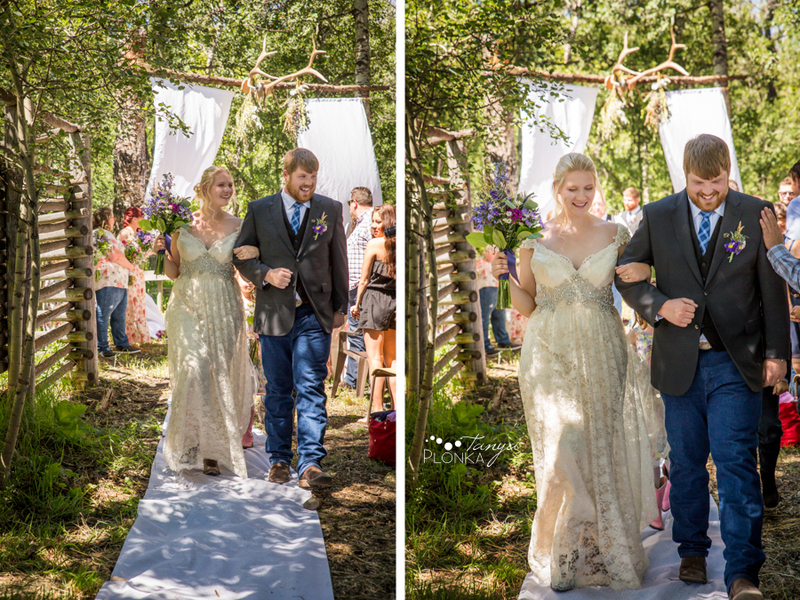 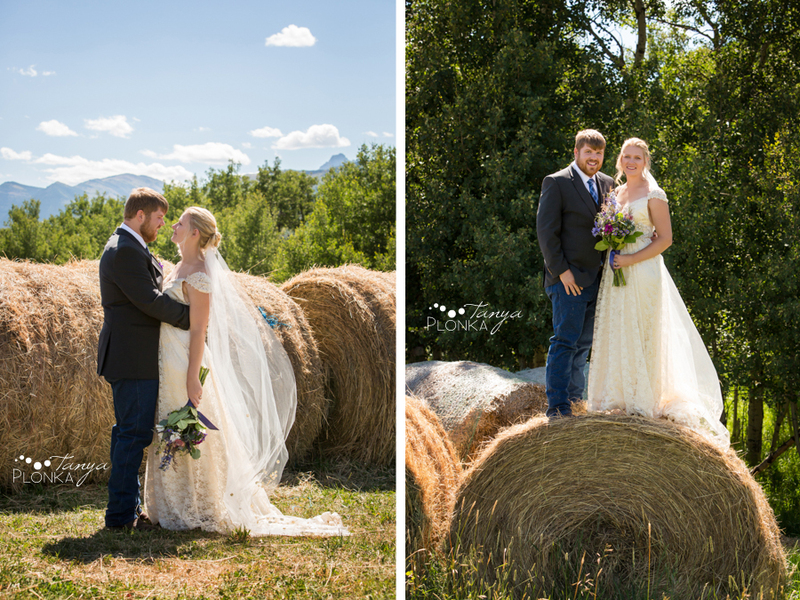 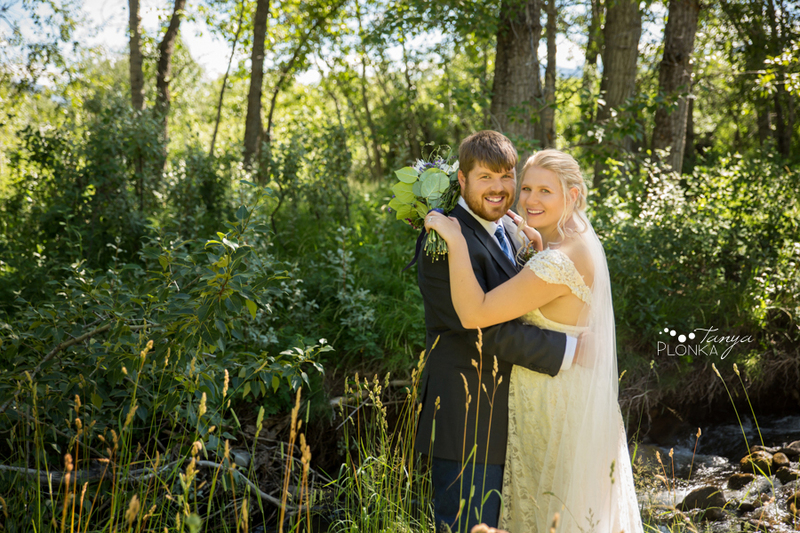 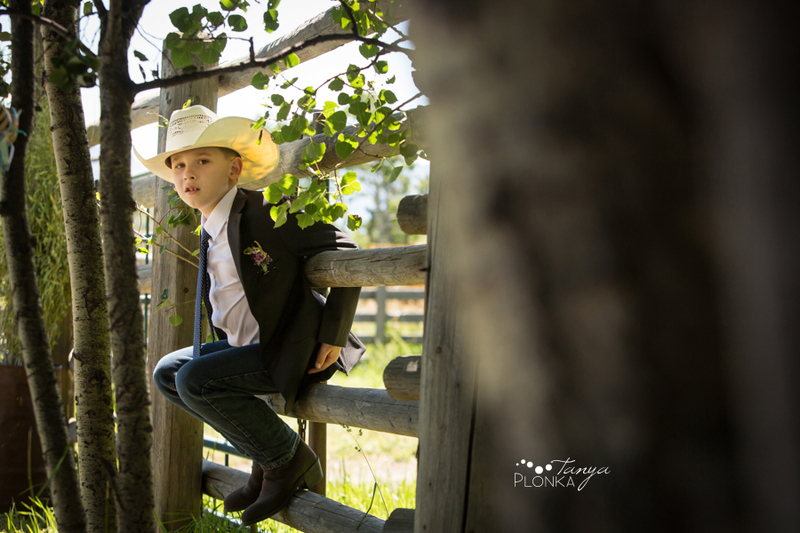 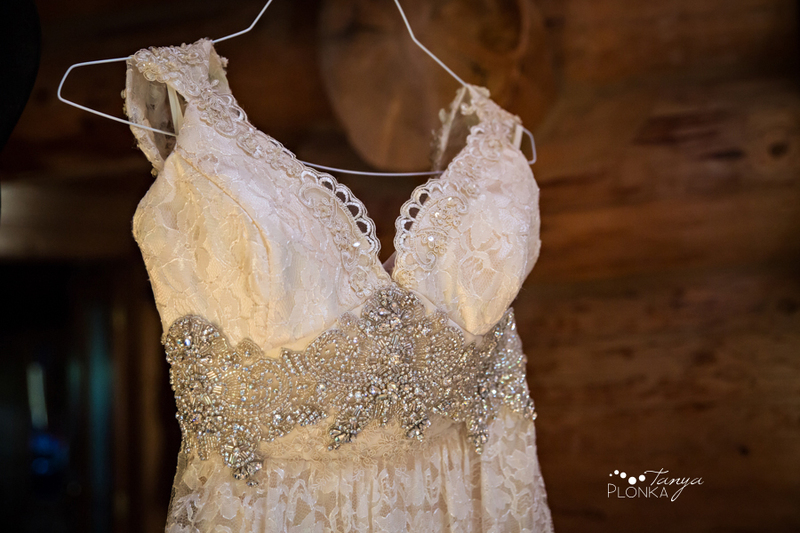 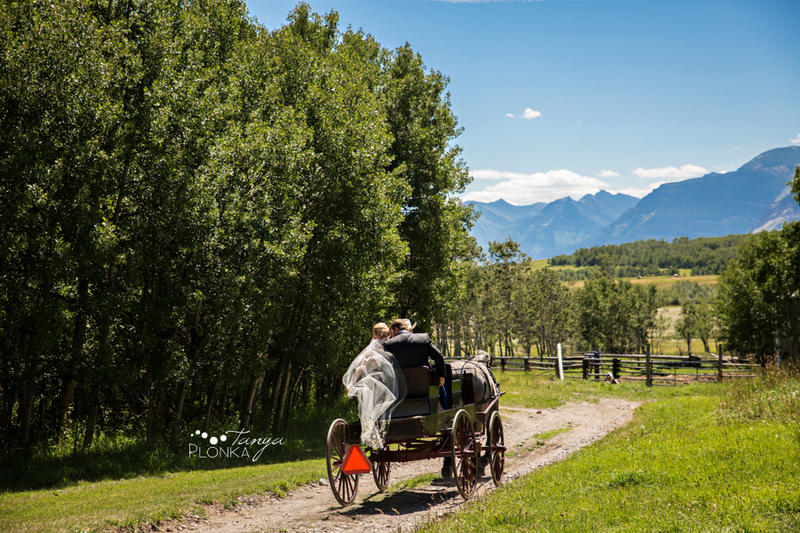 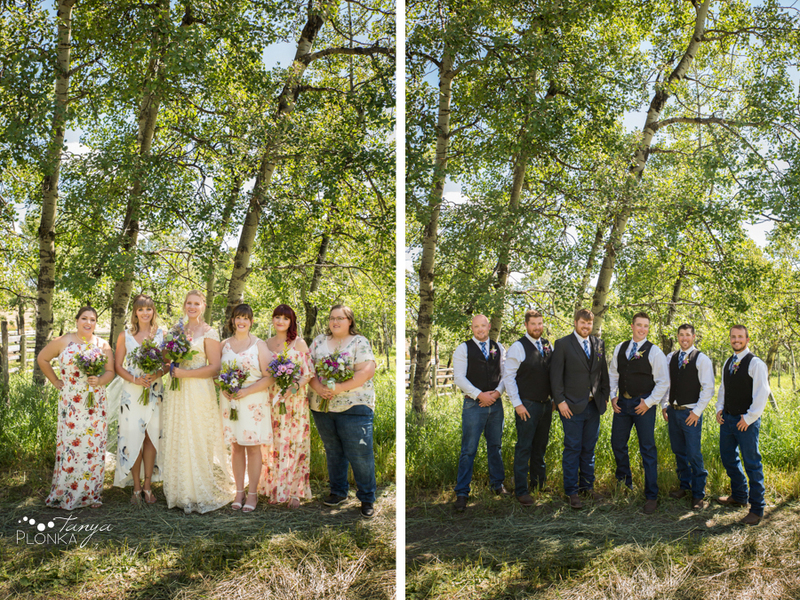 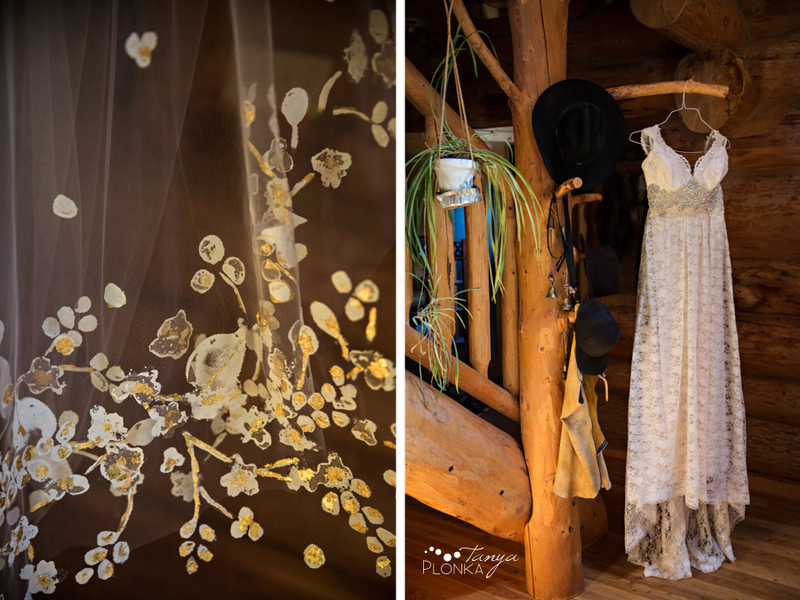 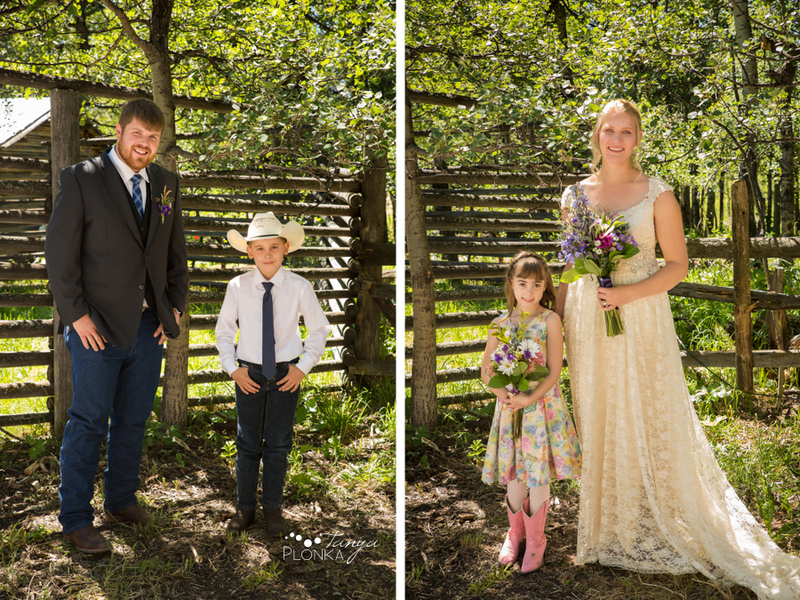 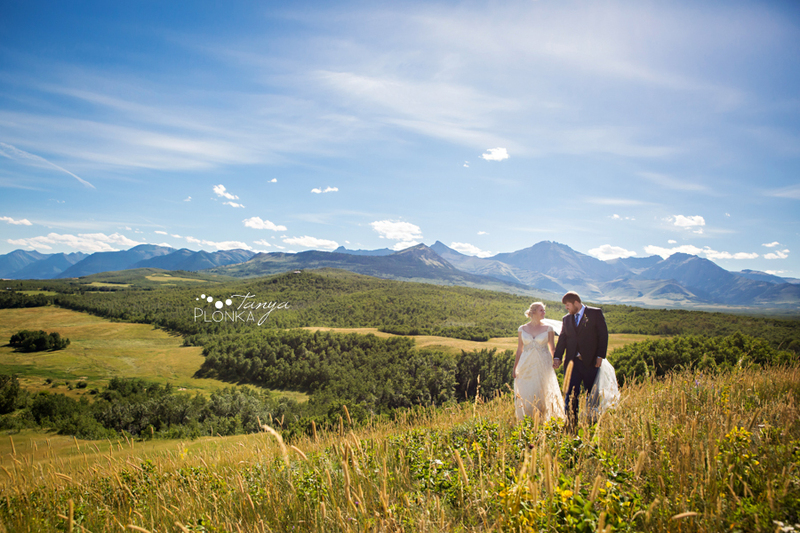 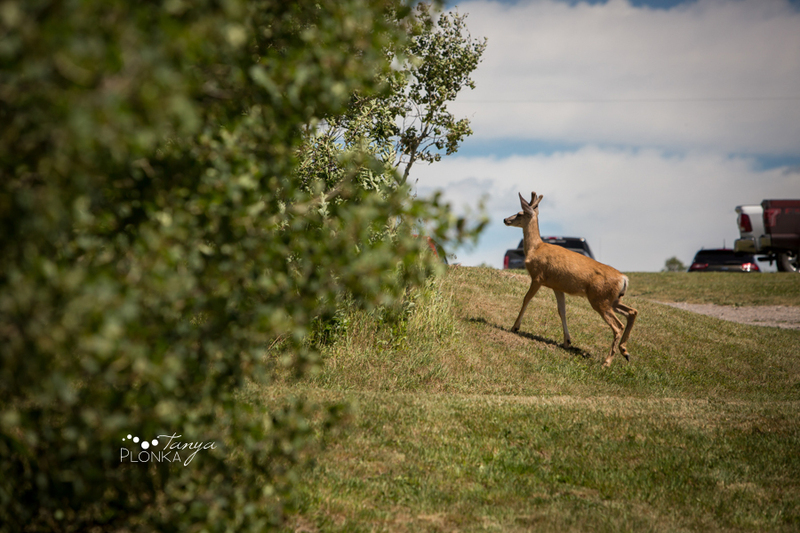 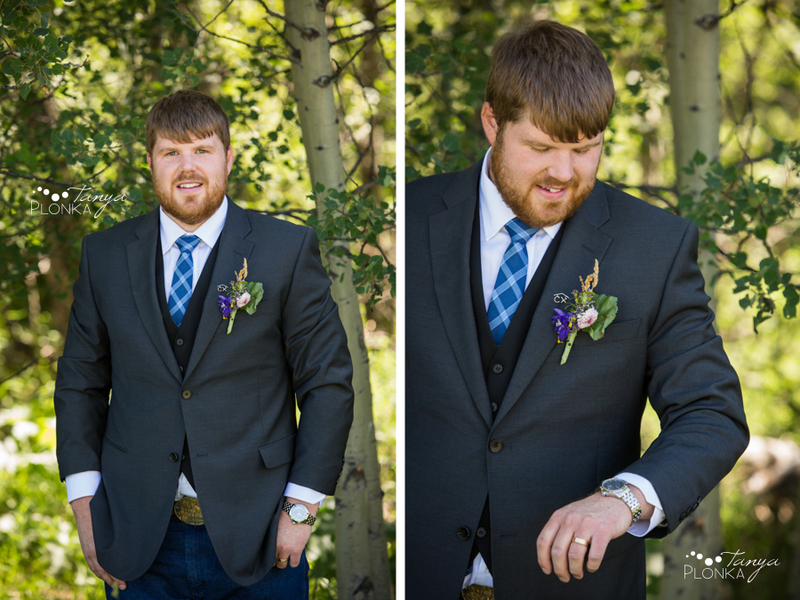 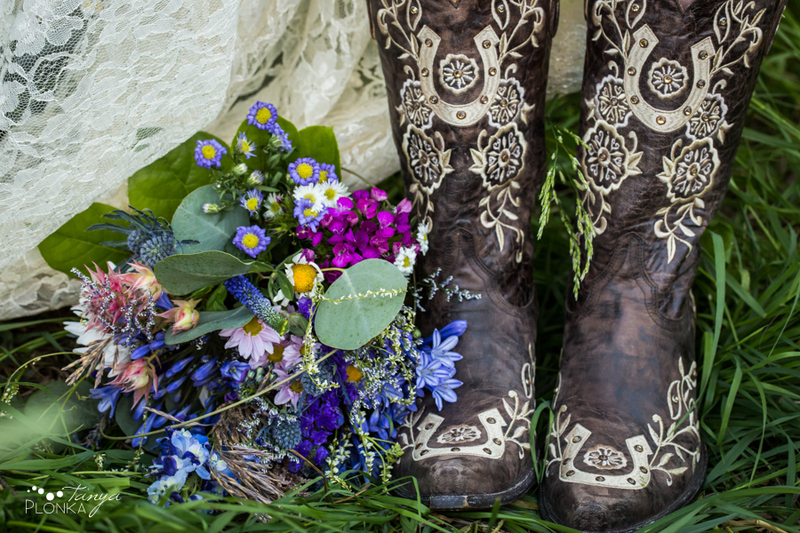 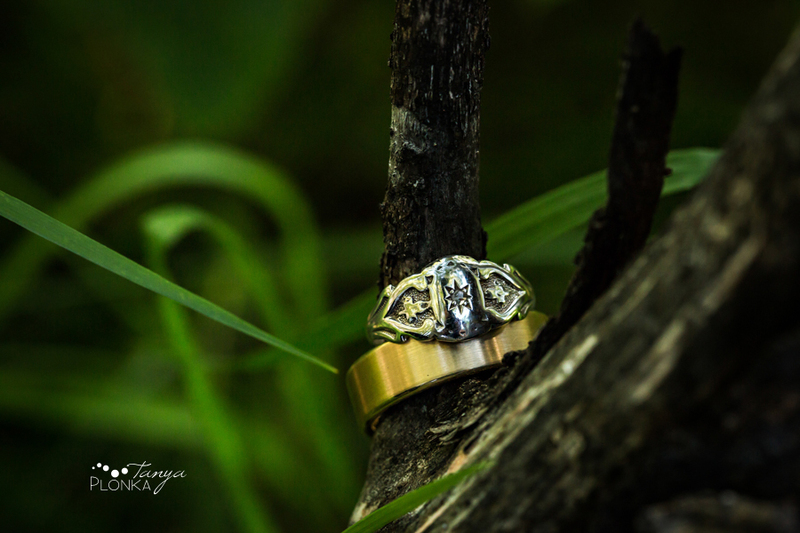 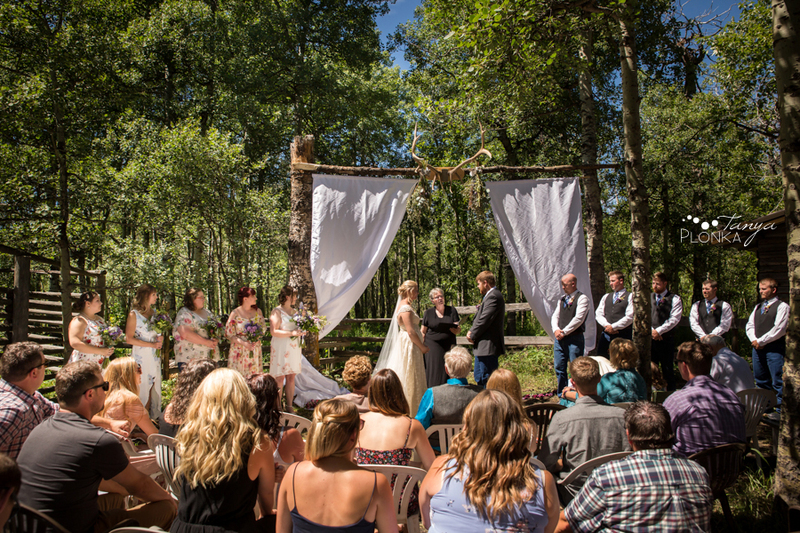 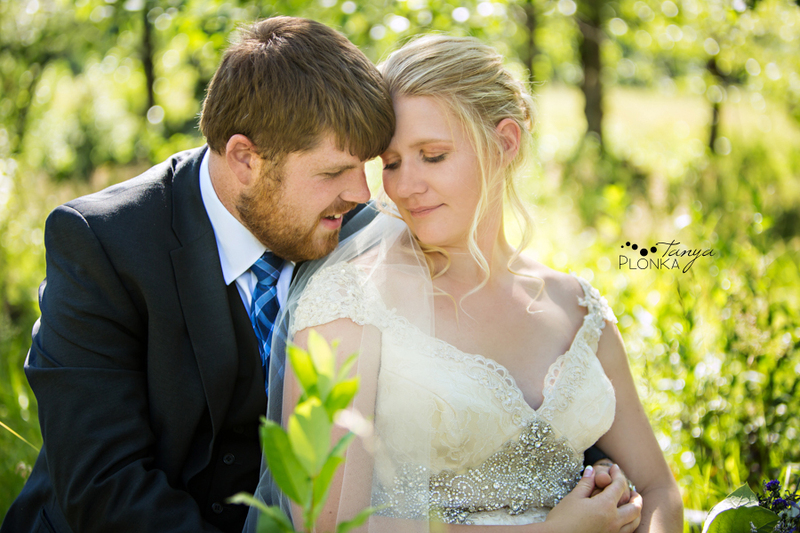 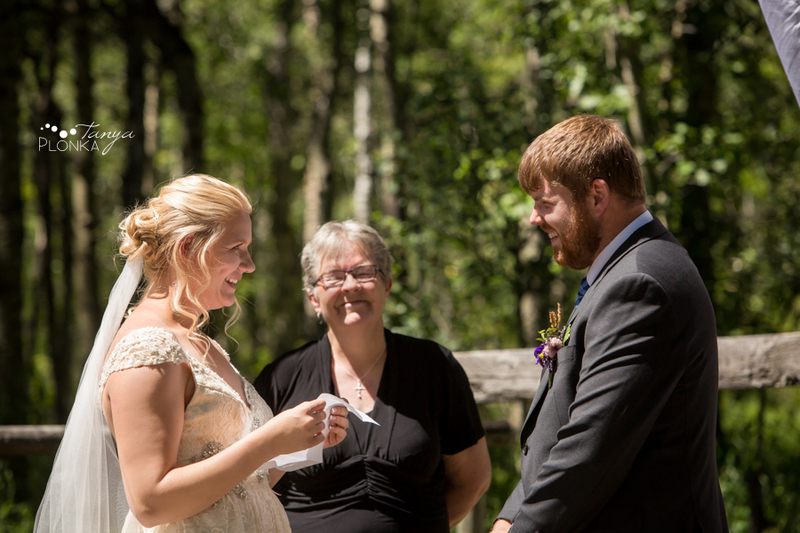 Jodie and Steven found so many perfect ways to make their Pincher Creek country wedding personalized to them. 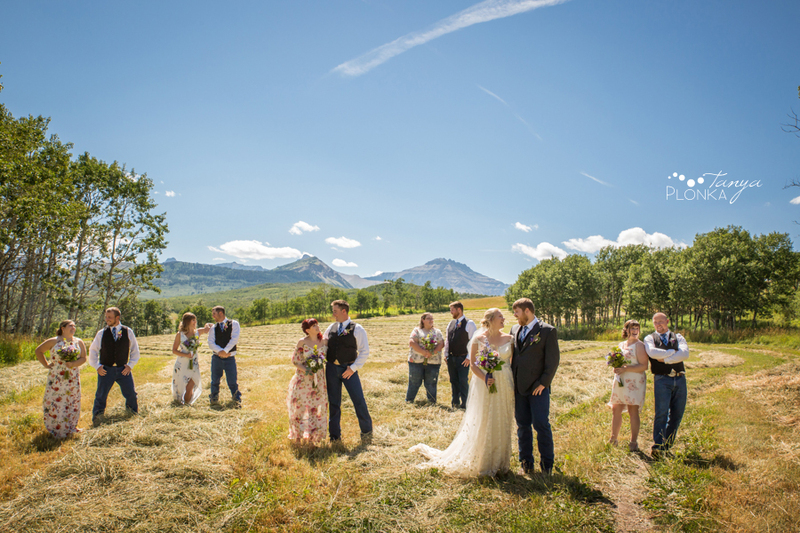 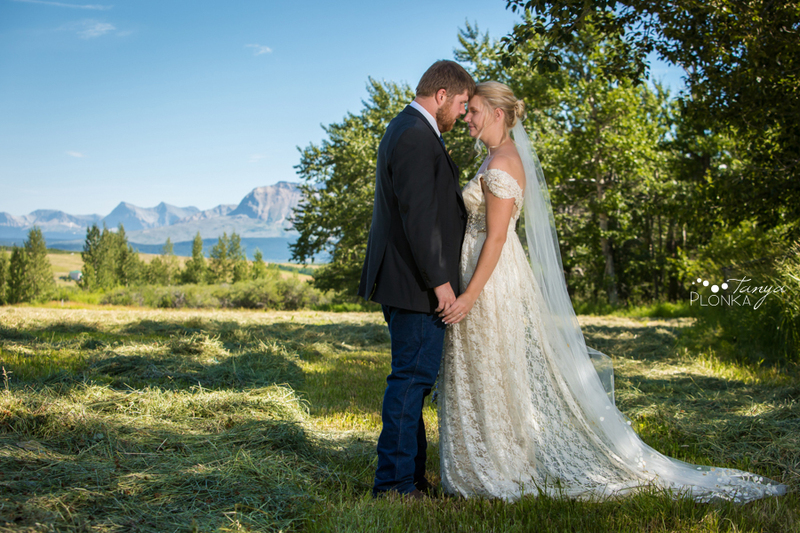 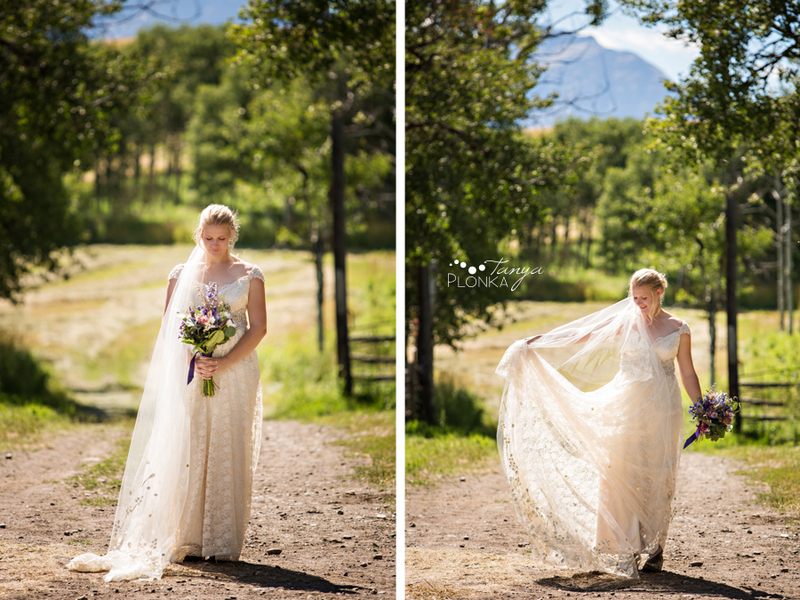 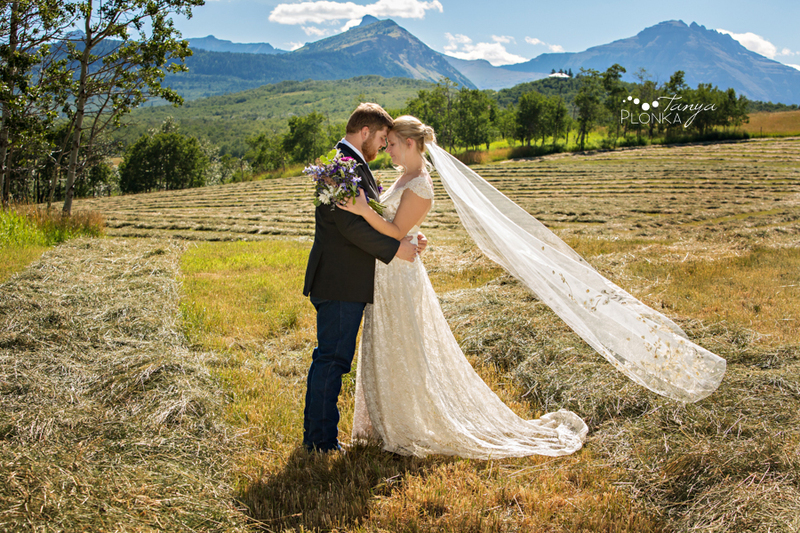 Nestled under the mountains on the farm where Jodie grew up, their outdoor ceremony was a gorgeous way to bring their lives together. 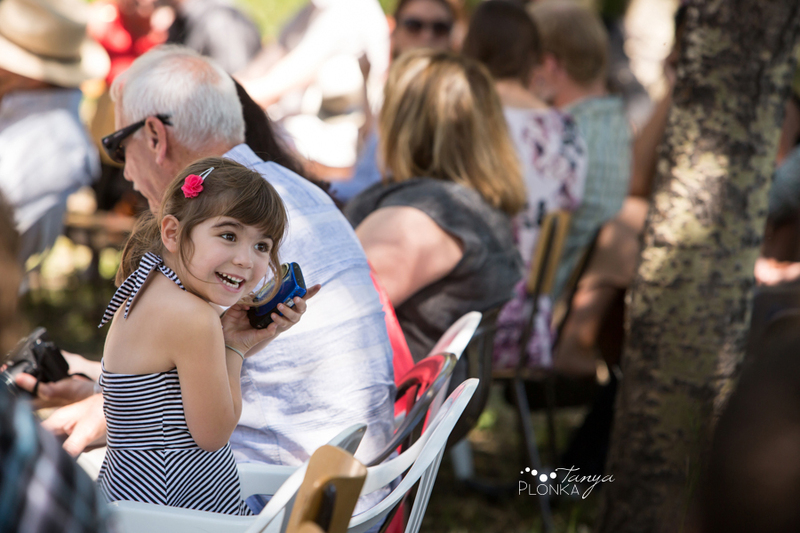 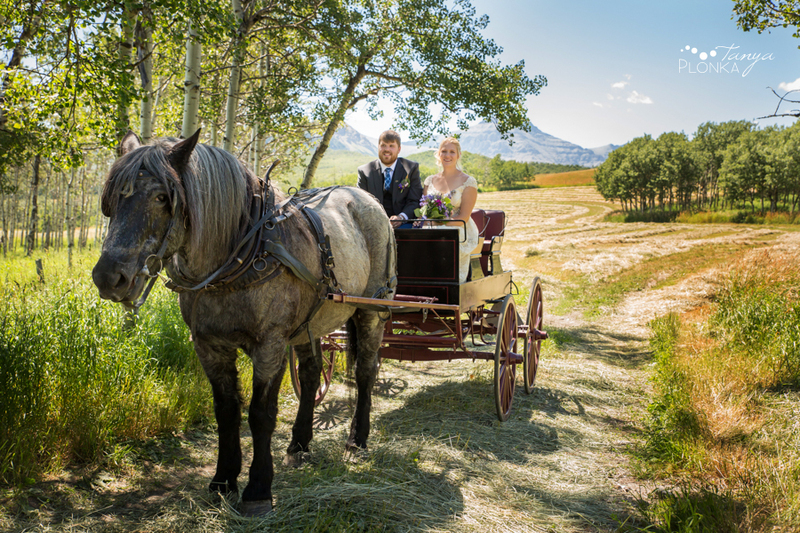 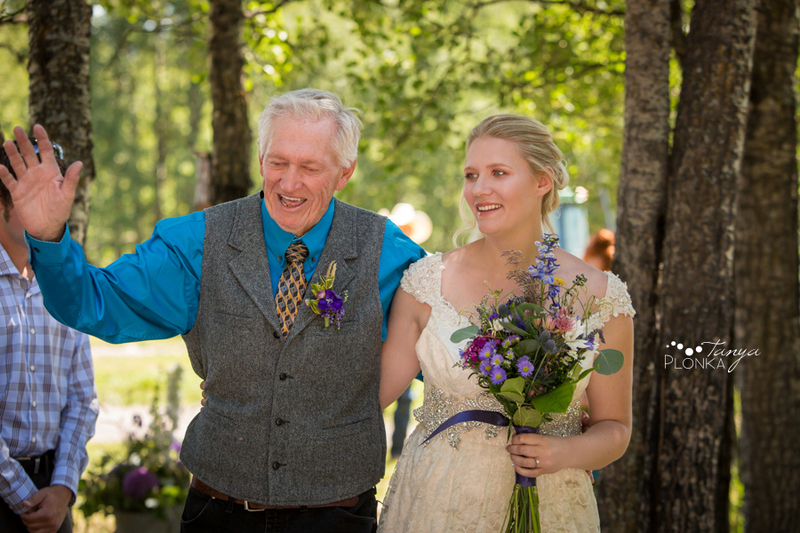 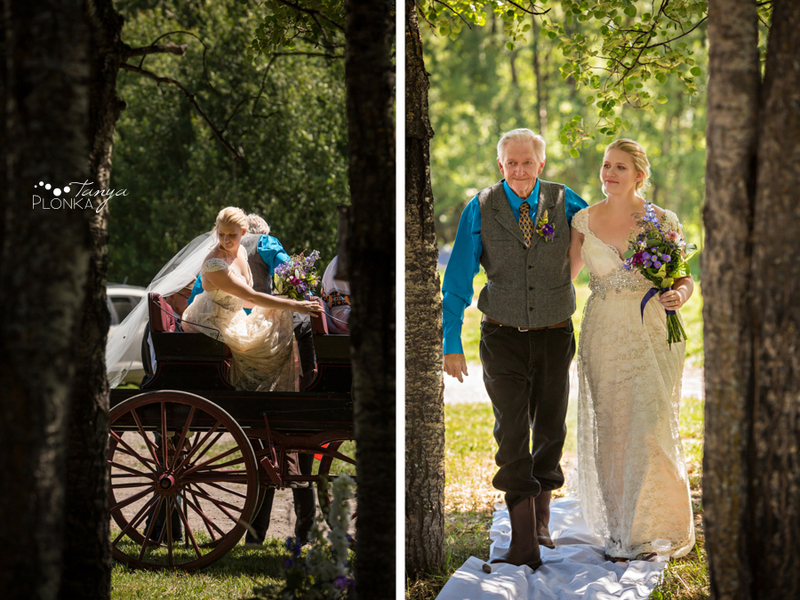 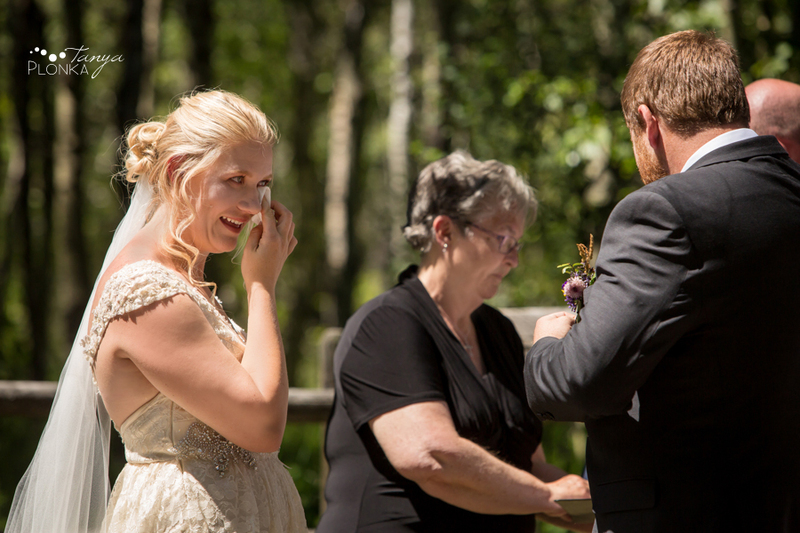 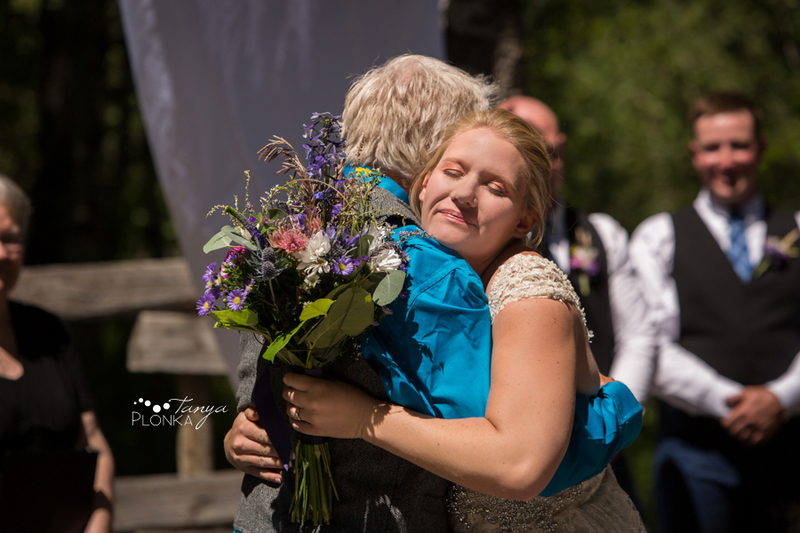 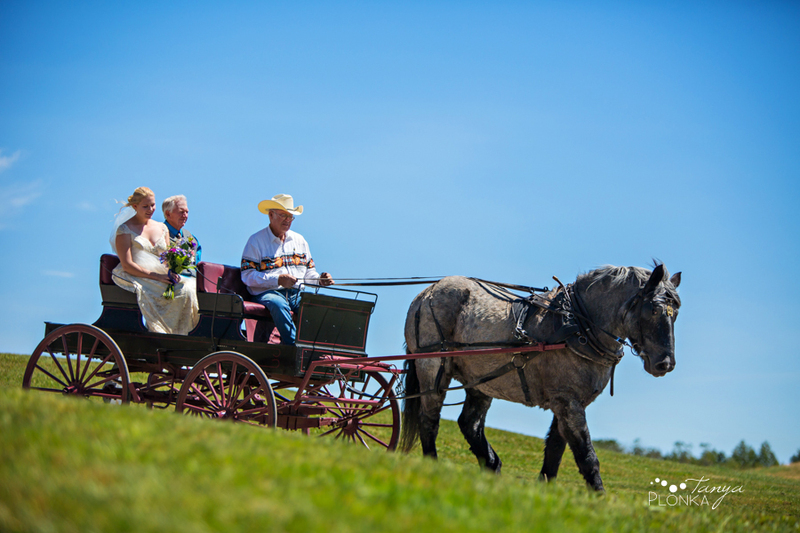 Jodie and her dad rode down to the ceremony by a horse drawn cart similar to one her grandfather used to have. 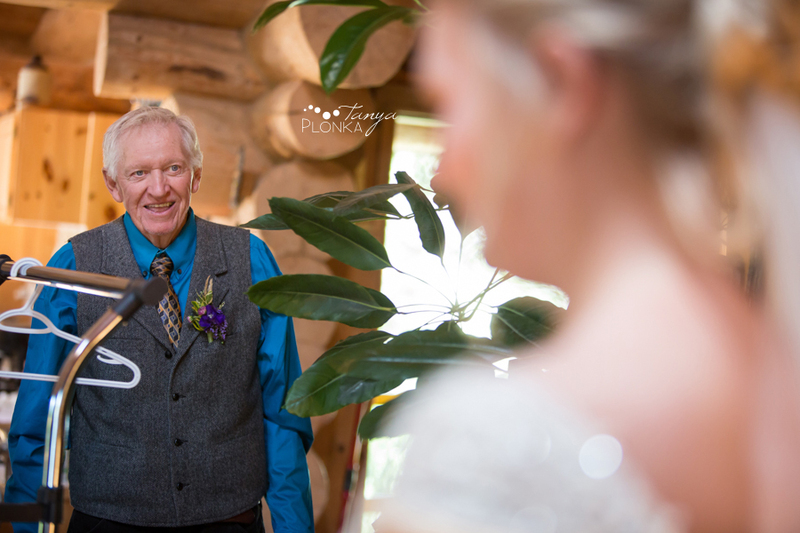 Jodie and Steven are so natural together. 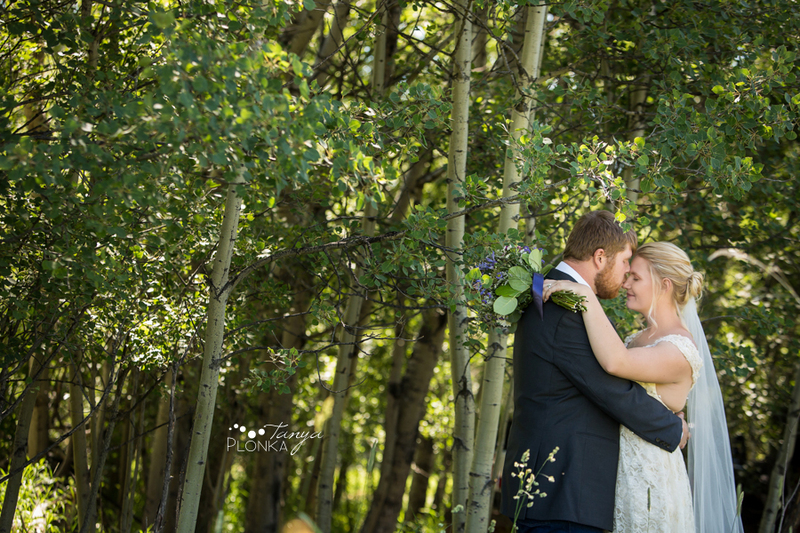 In between posed photos it was so easy to sneak in candid pictures of gentle kisses and loving embraces, or just the sweet way they looked at each other. 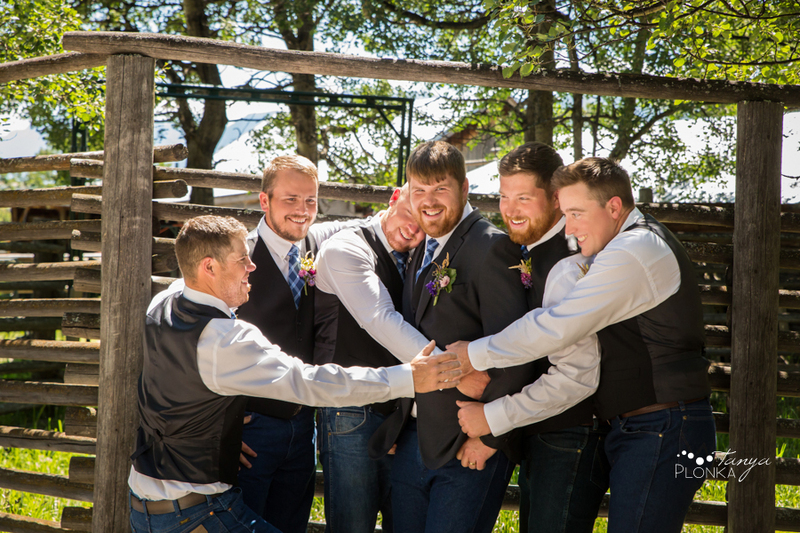 They are so kind to each other and everyone around them. 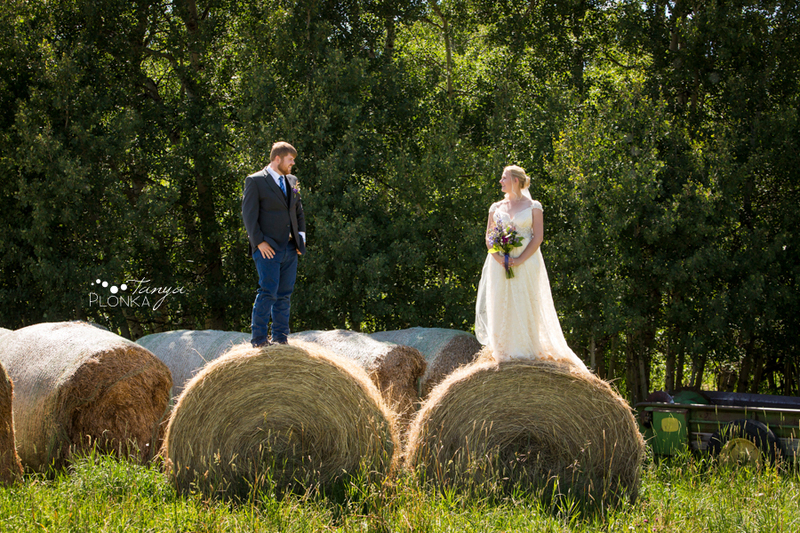 I don’t think they could have found a more perfect companion in each other. 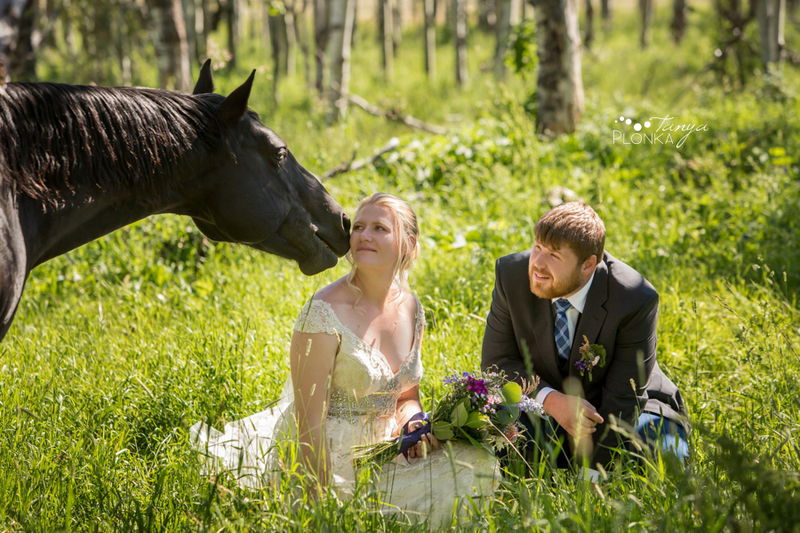 An uninvited guest showed up to the ceremony! 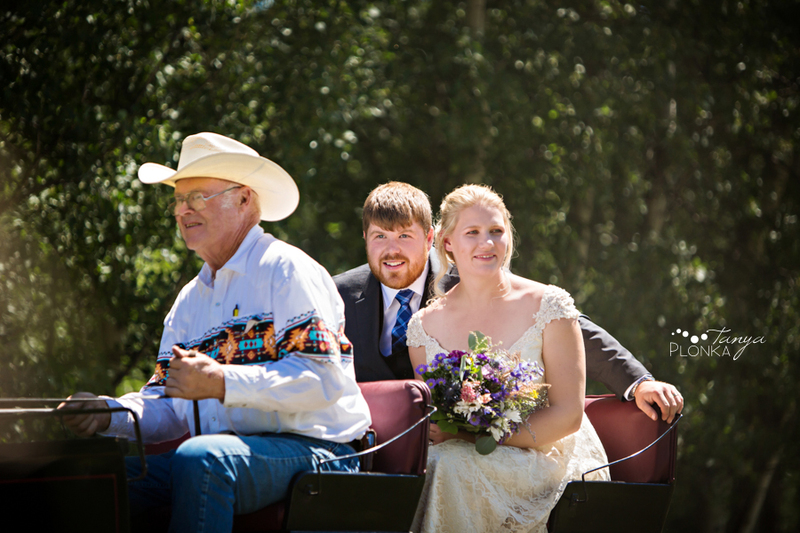 Immediately after the ceremony, Jodie and Steven went on a quick ride by themselves. 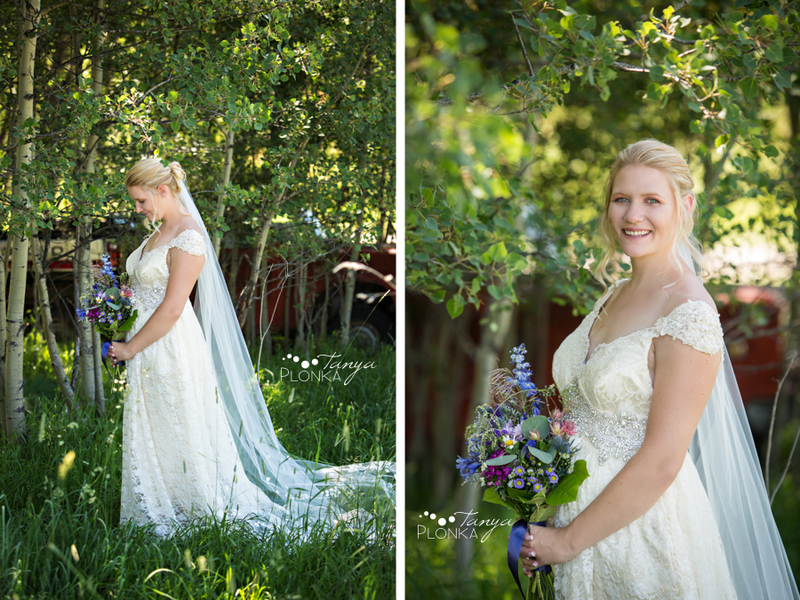 Jodie’s hair was done by Mirror Mirror Salon. 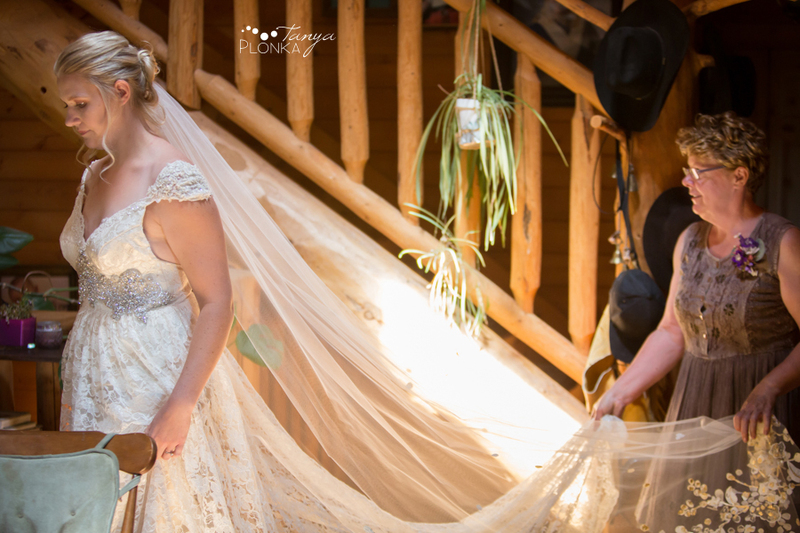 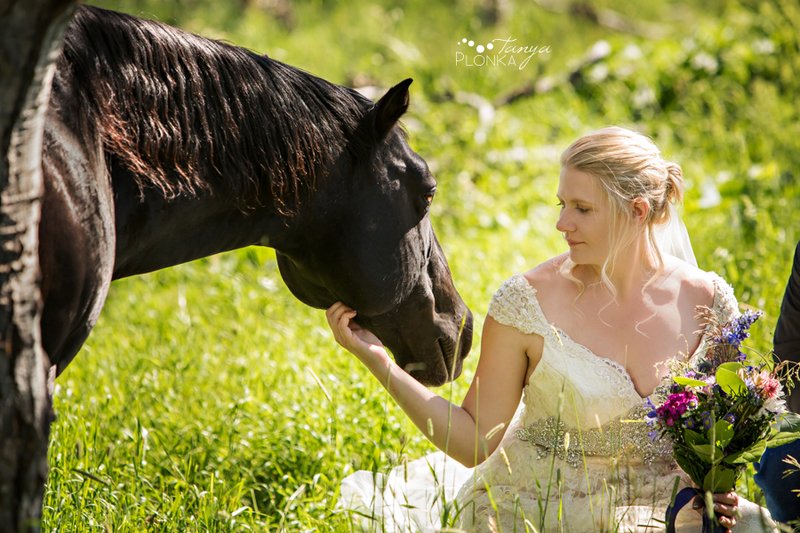 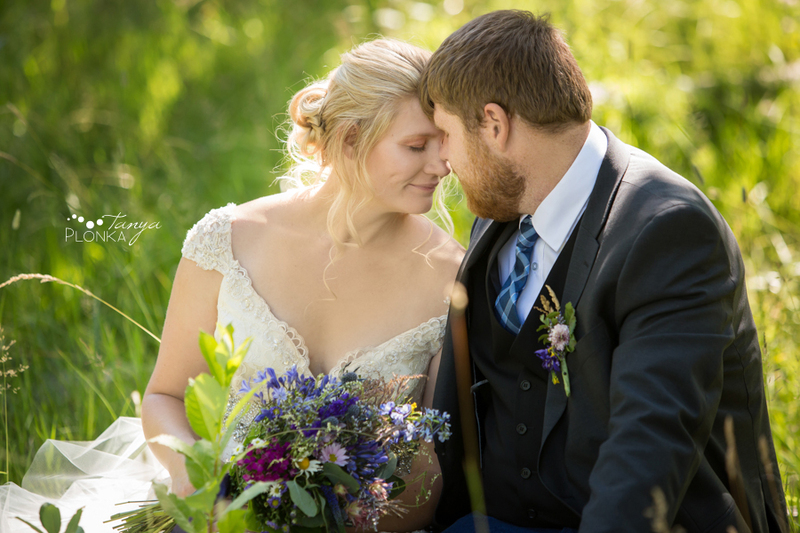 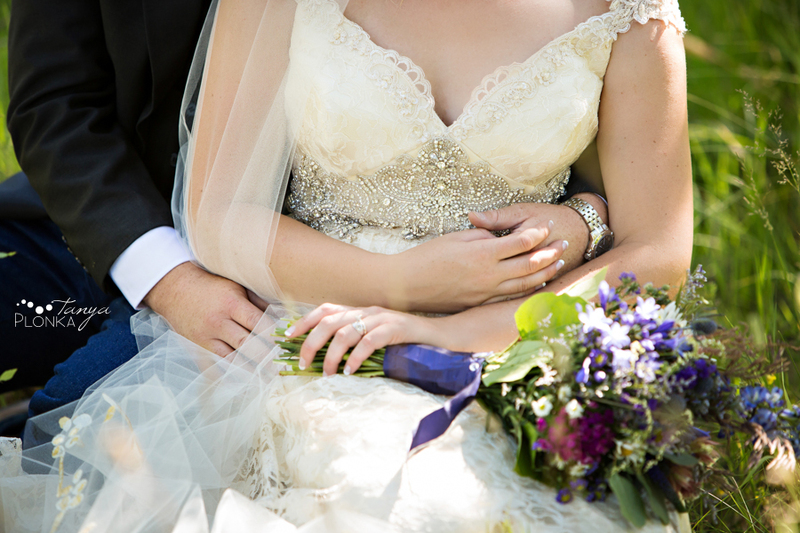 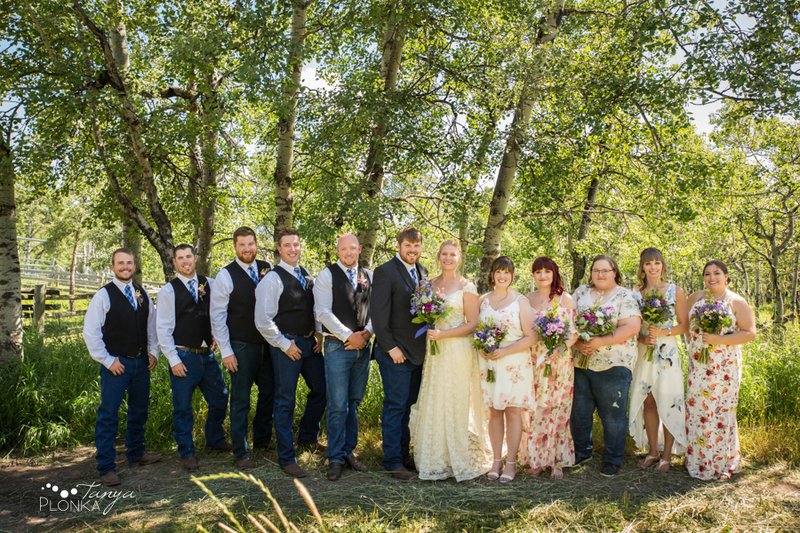 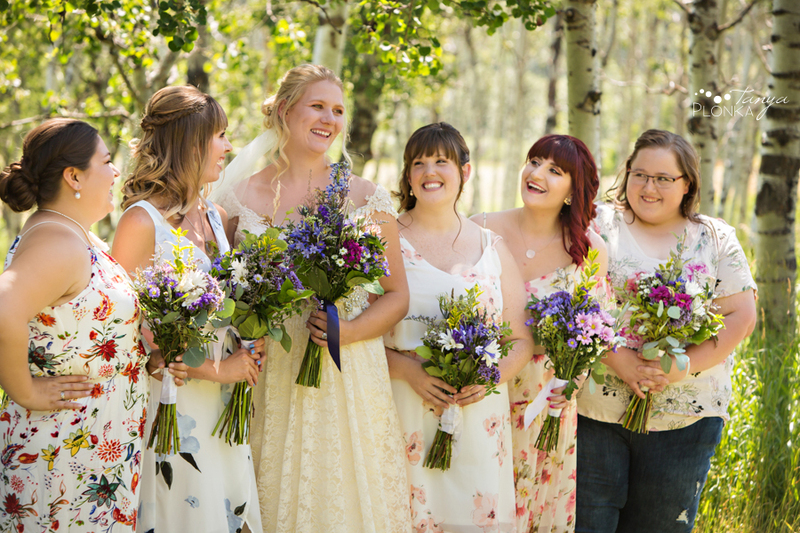 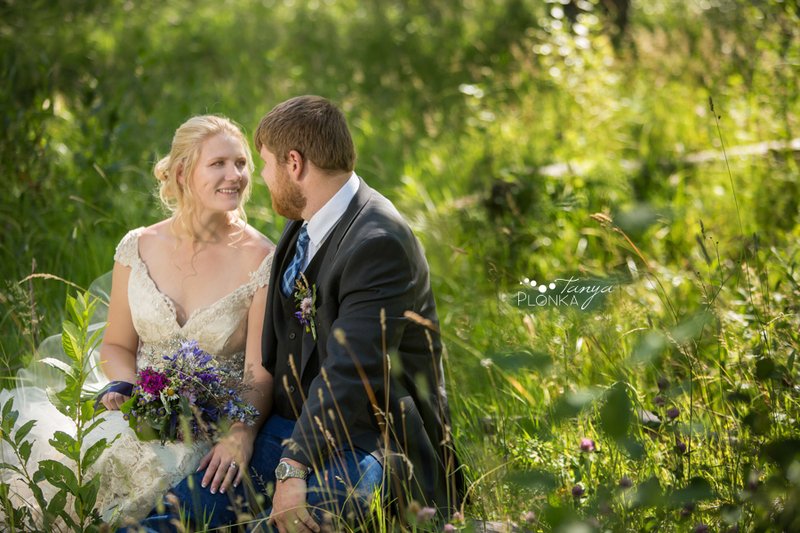 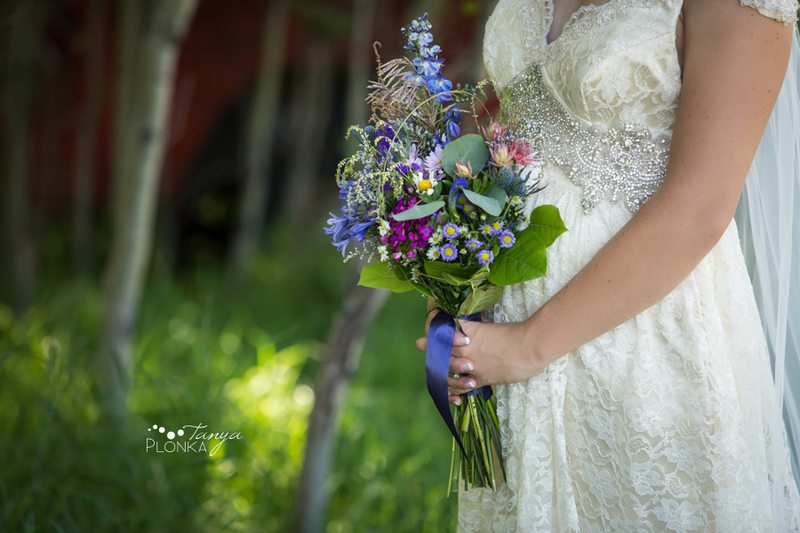 Jodie’s bouquet was created by C & D Floral in Pincher Creek. 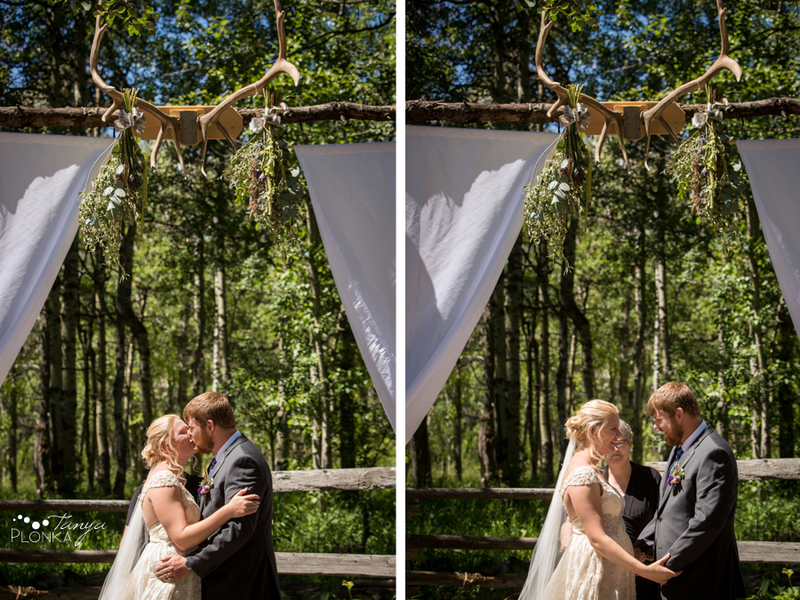 You guys are gorgeous, how will you ever pick one for over the fireplace?